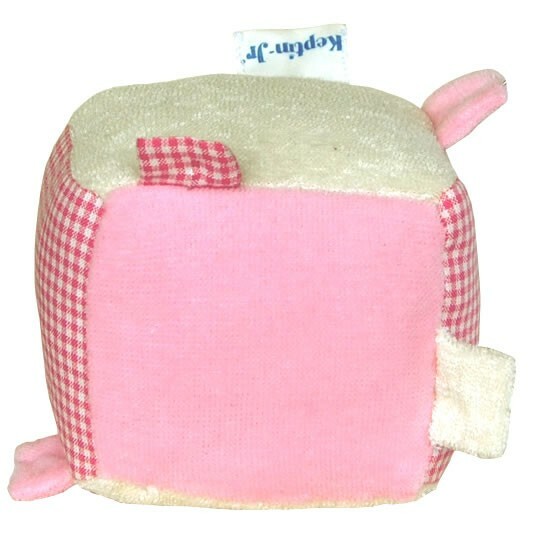 Babies will love this funky organic cotton cube rattle. There's loads of little tags to grap hold of an chew, each panel is made from a different texture organic fabric, terry, normal cotton and velvet and inside is a gentle rattle. Lots of textures and sounds for little minds to explore and the soft squishy inside is made from recycled plastic bottle fibre. 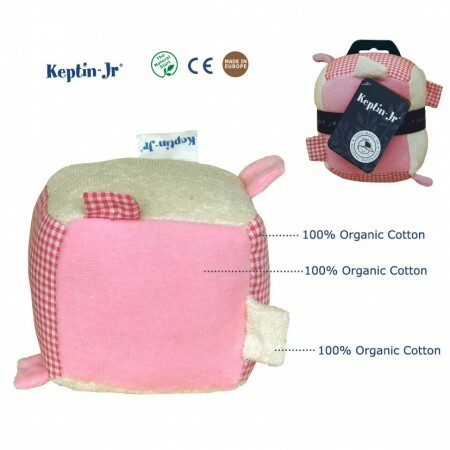 Approx 10cm cubed, 100% organic cotton outer, recycled inner.